The BBC has promoted the show that will decide who represents the UK at Eurovision to BBC Two in a live show at the end of January. The national song selection show for the UK entry, will take place on Friday 27 January 2017 live from the world-famous Eventim Apollo, Hammersmith. This year, for the first time, it will be broadcast live on BBC Two at 7.30pm with self-confessed Eurovision superfan, Mel Giedroyc, returning as presenter. 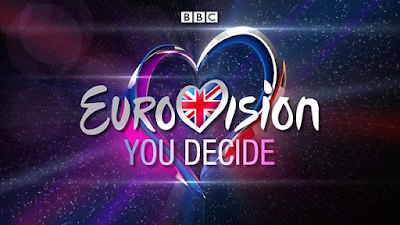 Last year's Eurovision: You Decide had been shown on BBC Four. After a nationwide search, the 90-minute show will feature performances of six brand new songs. The performers will take to the stage with the hope of doing justice to the songs, and in a bid to impress both the viewers at home and a professional panel. They will compete for the honour of representing the United Kingdom at the Final of the Eurovision Song Contest 2017 in Kiev, Ukraine. The winner will be revealed on the night after a live public vote. A panel of three experts will be on hand to provide insight and their thoughts about the songs and the artists, and how they could translate to the big arena in Ukraine. The six competing songs will be revealed on Monday 23 January on The Ken Bruce Show on BBC Radio 2. While BBC Four has lost the decision show, it will once again show both Eurovision semi-finals, which were rehoused on BBC Four following the closure of BBC Three's TV service. The semis take place on Tuesday 9th and Thursday 11th May. The Grand Final on 13th May 2017 will be on BBC One as usual.